Your team will have direct access to members of ZEIT's core team in our corporate Slack workspace, with a dedicated channel for maintaining and archiving support requests and related fixes. No matter if you'd like to learn more about a certain feature of a ZEIT product, get help with a open source project, or report a potential problem with our platform – we are here for you. 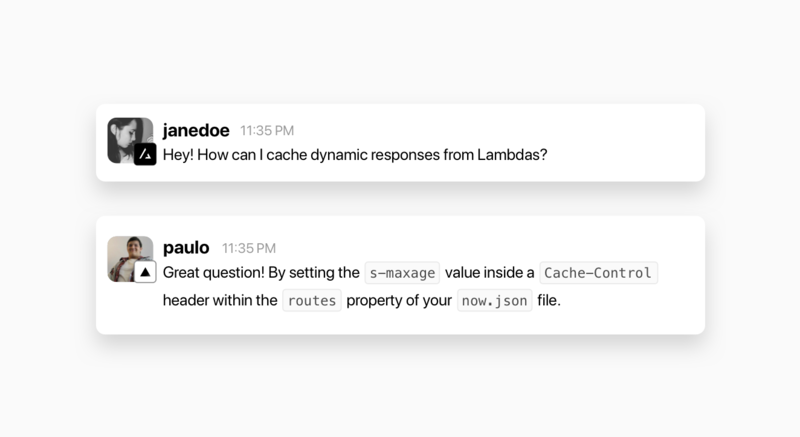 The only thing it takes to get in contact with us (once you have subscribed to this add-on) is opening Slack, switching to our workspace and asking a question.